The environmental litigation attorneys at the Law Offices of Gregory Krasovsky provide legal support and representation to any plaintiff seeking to pursue an Atrazine lawsuit. If you believe that your drinking water has been contaminated with this herbicide, you will need a competent Atrazine attorney to help you recover damages in the form of an Atrazine settlement. If you believe that you have a legitimate claim, contact an Atrazine lawyer today to schedule a free consultation. Atrazine is the second bestselling herbicide in the world, even though it has been banned in the entire European Union. It is estimated that 75-80 million pounds of Atrazine are applied to crops each year—mostly to corn, sorghum, sugar cane, and Christmas trees. As such, it is used most widely in Midwestern states in which corn production is very high. Atrazine is potentially dangerous because it can contaminate ground and surface water. 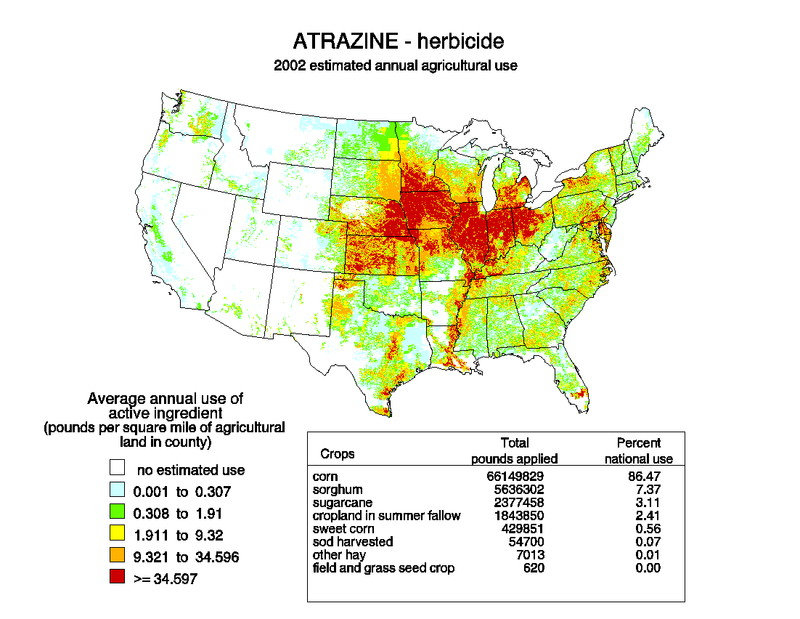 Atrazine travels very well and is very difficult to break down. The result of its resiliency is that it has been found in significant amounts 600 miles away from its application source. As the New York Times reported, many of these adverse effects can happen even if Atrazine is consumed below legal levels. Additional studies have also stressed Atrazine health risks, and the EPA is being called upon to review its testing of Atrazine. Atrazine takes over 15 years to break down entirely, and it has the potential to contaminate groundwater far from the application source and much later than the application time. This means that even people far from the application source might be consistently ingesting this dangerous chemical. Furthermore, it is very expensive to remove Atrazine; in other words, environmental cleanup costs are very high. Apparently, Atrazine has many other negative effects. For example, it is thought that Atrazine has a pernicious effect on amphibians, many of which are endangered. Ultimately, Atrazine manufacturers, farmers using this herbicide, and stores distributing it can all be held responsible for the damages it might cause. Contact our attorneys today to schedule a free compensation and claim just compensation for your Atrazine injuries.